FC Barcelona have shown their hunger for trophies has not waned. With a stunning 5-0 win over Sevilla, the blaugranes have claimed a 30th Copa del Rey title in their history. Luis Suárez opened the scoring after just 13 minutes before Alba and Messi combined yet again for the Argentine to make it 2-0. 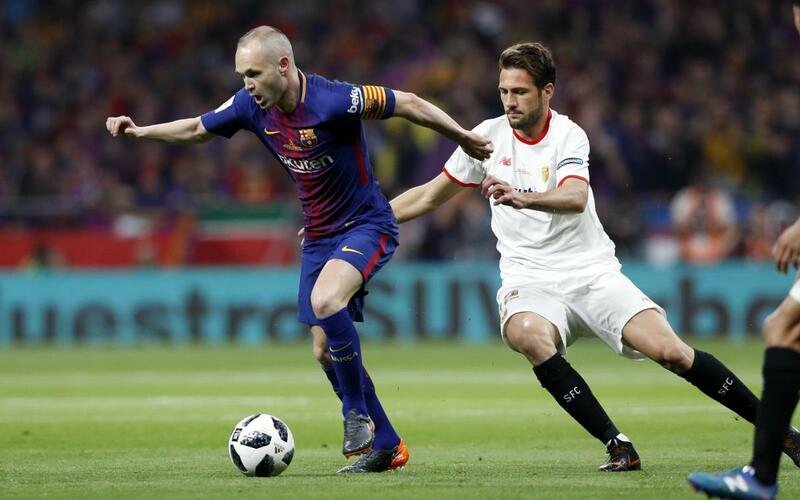 Before half time Luis Suárez added another and in the second half the procession continued with Iniesta adding his name to the list of scorers. Philippe Coutinho rounded off the rout with a goal from the penalty spot to seal Ernesto Valverde's a first trophy as Barça coach. See all the best action from the Wanda Metropolitano here in our highlights video!